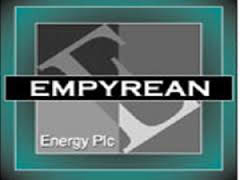 Empyrean Energy plc, the oil and gas development company with interests in China, Indonesia and the United States, has announced that a 3D seismic survey has commenced on its 100% owned Block 29/11, offshore China. Block 29/11 is approximately 1,800 km2 and is situated approximately 200km SSE of Hong Kong in water depths ranging from 340-600m. Empyrean has the right to conduct exploration under a Geophysical Survey Agreement and a subsequent right to enter a pre-negotiated Production Sharing Contract with China National Offshore Oil Corporation (CNOOC). Empyrean has contracted China Oilfield Services Limited (COSL) to complete the survey. The survey will cover an area of approximately 580km2 and is expected to take approximately 40 days to shoot. The data acquired will then be processed and interpreted, which will take approximately 90 days. The Survey will cover a number of exciting leads and prospects that have previously been identified on 2D seismic by Ameco Corporation (now part of BP) and CNOOC on Block 29/11. These include Jade and Topaz, two significant prospects which the Company believes will benefit from the current 3D seismic programme. The Survey will also include the acquisition of 3D seismic over recent discoveries immediately to the West of Block 29/11. This excellent cooperation between Empyrean and CNOOC is designed to greatly enhance both parties’ technical understanding of the producing formations in the region and, specifically, over the areal extent of the Survey. Empyrean has a 100% working interest in Block 29/11 during the Geophysical Survey Agreement period. Once the Company has signed a Production Sharing Contract (PSC) with CNOOC, CNOOC will have a back-in right to a 51% interest in the licence in the event of a commercial discovery.